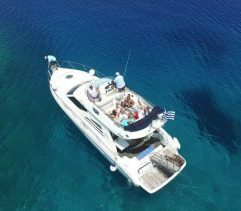 Our Yachts from Mykonos are available for week Aegean island cruises. Renting a yacht from Mykonos for a private week charter is a life time experience . We have many itineraries to suggest you. 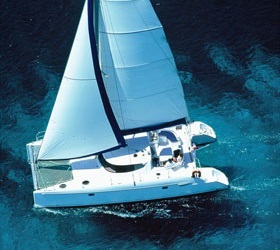 We are flexible and we can sail anywhere you disery. Paros attracts thousands of visitors every year. And the reasons are obvious: exquisite sandy beaches in crystal waters, traditional villages with whitewashed cubic houses in narrow paved alleys contrasted with the many bougainvilleas, lovely chapels, an exciting nightlife. Naxos Greek Island is characterized by its venetian town, its many picturesque and wonderful mountainous villages, the fertile valleys, the long golden sandy beaches of the group and the crystalline turquoise waters. Ios is famous for its intense nightlife which can be experienced in the touristy and lively beach resort of Mylopotas. But aside the fun, its peaceful coastline is adorned by kilometers of fine soft sand and crystalline emerald waters which are a real temptation. Santorini is, along with Mykonos, the most famous Greek holiday destination. The island was the site of one of the largest volcanic eruptions but what remains today is a submerged volcano and a caldera. Mykonos is famed as a cosmopolitan destination amongst the Greek islands and widely recognised as one of the great travel meccas. Discover a fascinating world where glamour meets simplicity.